#113, Mao Tse Toung Blvd. 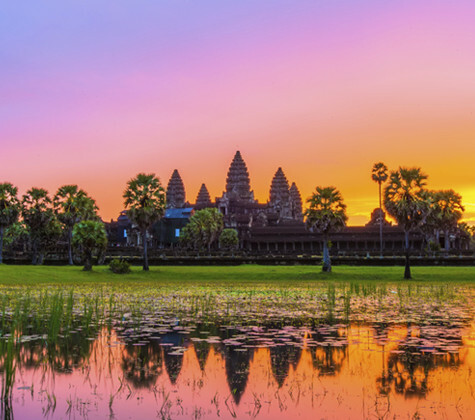 Cambodia has one of the world’s youngest populations and is well-positioned in a growing region with emerging tourism, resources, and labor opportunities. Cambodian property investment market continues to expand, adding more high-rise condominiums to an ever-developing skyline; the construction sector has become a backbone of the Kingdom’s economy that attracts investment from across the region. Cambodia continues to transform into one of the most desirable and dynamic real estate hubs in Southeast Asia. Khmer is an official language of Cambodia. Foreign languages such as English, Chinese, Japanese and Korean are being used in major cities like Phnom Penh, Siem Reap and Sihanoukville. The Riel (KHR) is the currency of Cambodia. However, US dollar is widely used across the country. Foreigners are now allowed to own apartments and condominium units. Despite being unable to buy property on the ground floor – effectively preventing foreigners from becoming land owners – the opening of the market has spurred foreign interest in Cambodia’s real estate sector, especially in Phnom Penh. Your CENTURY 21 Agent will be able to assist you in understanding the home buying process. Please seek professional advice from our sale consultant, a qualified lawyer and tax adviser before attempting to purchase real estate in Cambodia.